I know the week has just begun but my mind is already all geared up for the weekend! 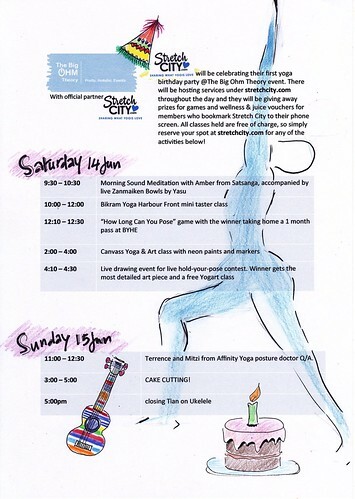 It will be a very busy weekend for us as we're celebrating C's birthday, will be meeting up with an old friend, will be heading out for some last minute errands, will be visiting IKEA for their weekend sale and lastly, we will be at The Big Ohm Theory! When I first heard about this, I instantly knew that this is one event that I would love to check out. No, I'm not an expert in yoga nor am I really the healthiest person in the land but I promise to make 2014 the year where I'll seriously try to live a healthier, happier and a more holistic life. We're half-way through the year so I really have to start somewhere and The Big Ohm Theory might just be my first step in reaching my goal. 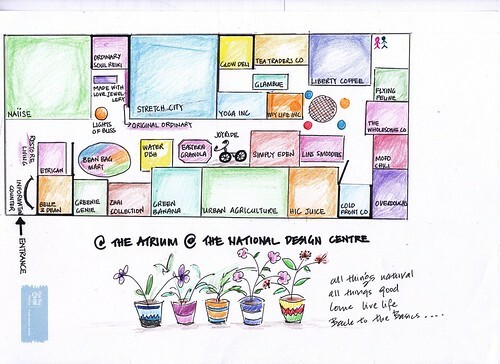 The Big Ohm Theory is happening this coming weekend (June 14-15, 2014) from 9AM to 6PM at the National Design Centre (MRT: Bugis) here in Singapore. I've always believe that going back to basics is always a good thing. Sometimes, with life's complexities, it's good to just take a step back and to keep it simple. 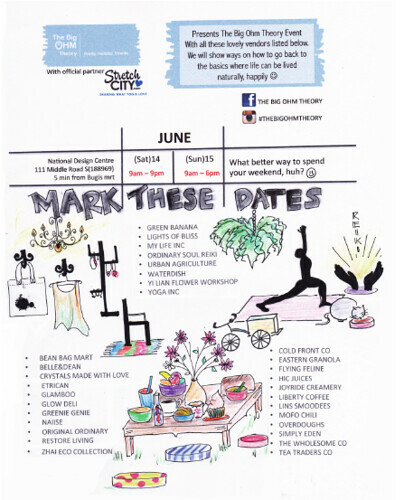 The Big Ohm Theory will be a weekend fair highlighting several brands that caters to healthy food and drink options, yoga, meditation, organic produce, restored furniture and a lot more. Are you feeling the excitement already? I am too! Sharing with you the list of concessionaires that we can all expect on those two days! I'm so ready to shop, shop and shop!